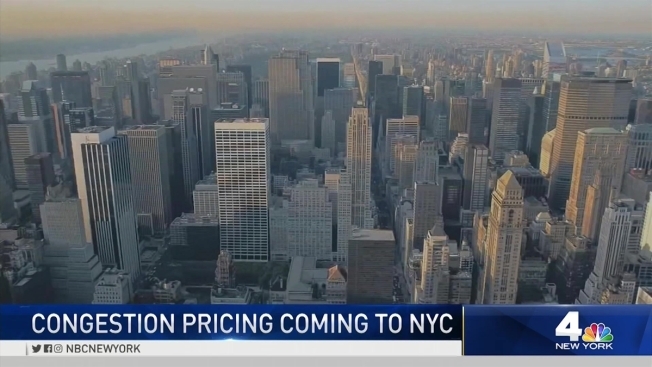 NYC to Be First US City to Use Congestion Pricing: So How Exactly Will It Work? A statewide ban on plastic bags and groundbreaking tolls for motorists entering the busiest sections of Manhattan are coming to New York under a new state budget that takes several ambitious steps to address long-standing environmental and transportation challenges. Lawmakers worked through the night Sunday to pass the $175.5 billion spending plan. The Democrat-controlled Senate finished passing budget bills around 2:30 a.m. Monday, followed about five hours later by the Assembly, also controlled by Democrats. Monday is the start of a new fiscal year and the date the budget is due. The sprawling legislation contains a myriad of provisions guaranteed to affect residents and visitors in some way. Provisions in the budget will eliminate cash bail for misdemeanor and non-violent felony offenses, make an annual 2 percent property tax cap permanent, increase education spending by $1 billion and create a new, $100 million public campaign finance system. New York City is set to become the first American metropolis that seeks to ease traffic congestion, cut pollution and boost mass transit by charging people a hefty toll for the privilege of driving into its most crammed areas. So can it work? If the experience of other cities around the world that have tried it is any indication, the answer appears to be yes. London, Singapore and Stockholm have all reported that "congestion pricing" systems similar to the one now being planned for Manhattan led to initial reductions in traffic and improvements in air quality, while creating a steady stream of revenue to support public transit and other infrastructure. "New York is a prime example of cities where it tends to work, which is very high density, with relatively good public transportation" or at least the skeleton of a good system, said John Rennie Short, professor of public policy at the University of Maryland Baltimore County. New York has to work out details of the plan, which would use a network of license plate readers to bill vehicles for using surface roads anywhere in Manhattan south of Central Park. That includes the cost of the toll, which is likely to be more than $10. Will the tolls raise enough money to make the city's strained mass transit system reliable? Is there enough alternative transportation for commuters who decide to give up their cars? How will the tolling system affect the delivery trucks, taxis and ride-hail vehicles that now comprise a big proportion of Manhattan traffic? And will so many vehicles be made exempt from the tolls that the effect on travel patterns is minimal? "We're not going to see people abandon their cars to get into the subway," he said. "This is a terrific victory ... for the mass transit ridership and for New York's capacity to respond to the crisis of its mass transit system," he said. A panel will now be convened to set the toll prices — one recent proposal suggested around $12 for passenger vehicles — and create possible exemptions or credits for some drivers. That could include discounts for motorists already paying a toll enter Manhattan. The earliest the tolls could begin is Dec. 31, 2020. One model for the system has existed since 2003 in London, which offers evidence that the system could work — and a cautionary note for how it may need to adapt over time. In Stockholm, a pilot program that was put in place with less-than-enthusiastic public support in 2006 became much more popular as people saw immediate drops in congestion and air pollution, so much so that residents voted to make it permanent in 2007. Singapore's system has been around since the 1970s. About 717,000 vehicles a day enter the Manhattan zone considered for the program, a recent city study said. One estimate said a congestion pricing plan with an $11.52 toll could reduce traffic by 13 percent and raise gross revenues of $1.1 billion per year, much of which would go to support trains and buses after expenses. "Even a small reduction in traffic can have a substantial impact on the larger traffic network," said Kate Slevin, senior vice president of state programs and advocacy at Regional Plan Association, an advocacy organization that supports the congestion toll. "The good news is there's going to be a couple of years before the congestion toll is turned on," she said.